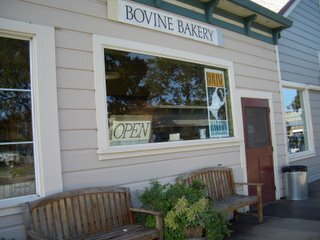 We continued along this route and next visited the coastal town of Point Reyes Station, and walked into the Bovine Bakery. You could spend all day ooh-ing and ahh-ing over their wholesome display.... 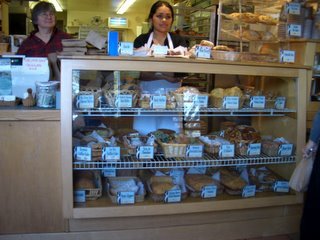 Including Bear Claws, Cranberry Cream Cheese scones, Chicken Pesto (and many other) croissants, Blueberry Whole Wheat Muffins.... Cookies... There were two touches that I especially appreciated: a board with daily specials (including muffins and scones) and vegan versions of certain items. I'm not a vegan, but both of these touches show an eagerness to adapt to different styles and a creativity with ingredients. 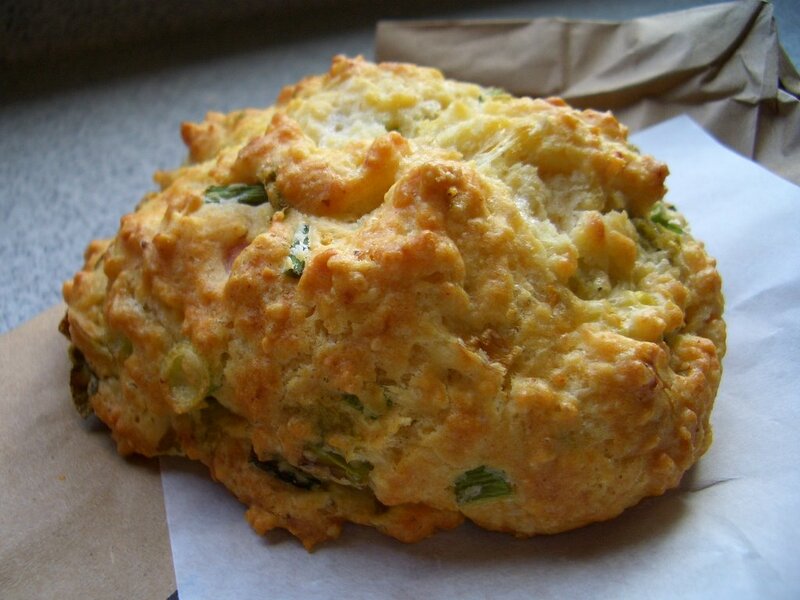 the chile cheddar cheese scone. 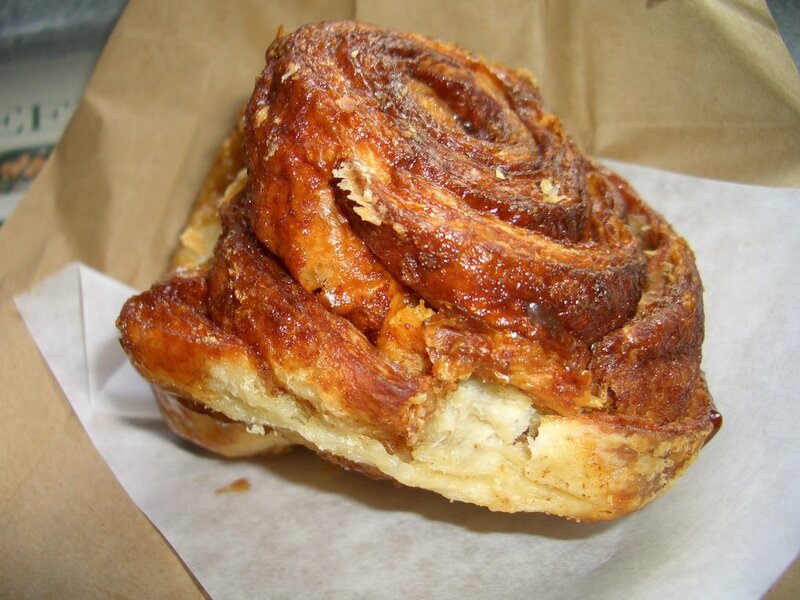 The morning bun had a syrupy softness on the bottom and a crispy caramelized top. The scone, as Chad said, was like a muffin and omelet in one. The occasional bits of juicy tomato were surrounded by an ever so slight egg-iness from the batter while the rest of it was a more dry cheddar and chile flavor. Combined, the sweetness of the bun and the savoriness of the scone were a perfect combination. The bakery has a small counter with stools facing a large window, as well as ample room to hang out outside. There's a small bike repair unit next door, and the outside was hopping with swarms of bikers fueling up on pastries.